Find My Workspace lists over 95% of the executive office suites market in Leawood. Simply click Request Quote to check pricing for one office, or Add to Basket for multiple offices. 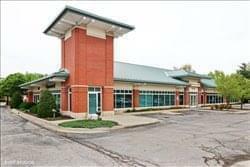 Approximately 2,000-3,000 square feet of office space comprised of eight or nine private offices and twenty small workstations located in the Northeast corner of Class A office building. Square footage includes use of large reception area, four conference rooms, multi-media training center, kitchen, and restrooms. Available options for equipment, services, and/or common area space utilization: four furnished conference rooms with complete audio/video and media/training center with fully equipped audio/video accommodating 32 classroom/50 theatre. Also available is internet, WiFi, VOIP telephone system with call routing capability, ability to port existing phone numbers to specific offices and/or individual phones and direct inbound phone numbers (DID) and personal Voicemail Boxes. Other options include: voicemail to email capability, individual E-fax phone numbers, lobby and receptionist to greet clients/guests, use of copy/scan/print equipment, kitchen with refrigerator, dishwasher, microwave, & coffee service, men’s & Ladies Restrooms. There is also parking immediately in front of building and adjoining property, office furniture, utilities including electricity, water, heating, and air conditioning, janitorial, outbound Long Distance calls, black & White Copies/Prints, color Copies/Prints, scanning, outbound Fax and a vending Machine. To obtain information for your selected Kansas Executive Office Suites, please tick the "Add to basket" box for each office you prefer and complete the form below. We will then send a detailed report via email.